Land use change has been a constant in the history of New Zealand agriculture and is the motivation for many rural property transactions. 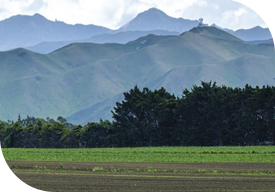 In recent years, significant land use change has occurred in Waikato, Northland and the Bay of Plenty. As some dairy farmers review their prospects, this is likely to continue. Premium Te Puke gold kiwifruit orchards are changing hands close to $1.2 million per canopy hectare, justified by their capacity to produce 20,000 trays per hectare, and provide a return on investment of between 10 and 15 per cent. Consequently, most suitable Bay of Plenty land is already growing kiwifruit, and with export demand rising, new districts suitable for the crop are being tested, particularly in Hawke’s Bay and Waikato. For some, kiwifruit is not the only option. From avocados and blueberries to kumara and onions, there are opportunities for farmers to turn a small proportion of a dairy farm into an orchard or a market garden. Income diversification is the goal, though if it pays off, can lead to a more profound shift. Around Pukekohe, another factor drives changing land use. Traditionally the nation’s vegetable garden, increased pressure from the growth of Auckland means subdivision for residential use has become the rational option for owners of third or fourth generation market garden land. Market gardeners are moving elsewhere, with Matamata a favoured destination. Meanwhile further north, several former dairy farms around Tapora are in the process of development into between 200 and 300 hectares of avocado orchards, while a Kaipara dairy farm was sub-divided in the autumn for partial sale and conversion to kumara. As with other land use change, this will be monitored locally, and if the new owners prosper, neighbours are likely to follow suit, in time honoured fashion.